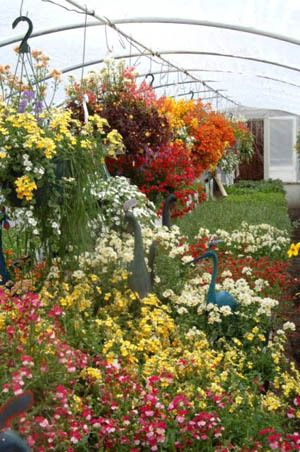 lot of time and planning. 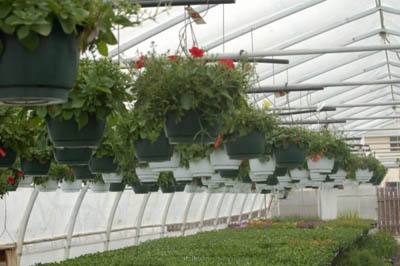 All of Vales Greenhouse baskets are grown on site, we use only top quality “Basket Stuffer” plants that have been conditioned to hold up under the tough Alberta weather. 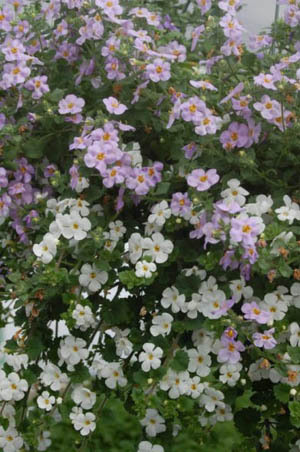 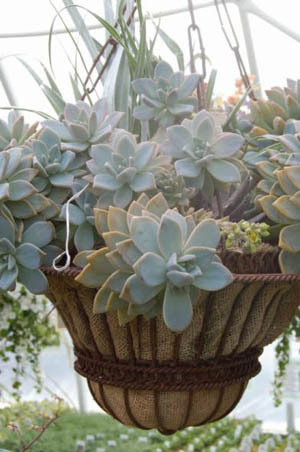 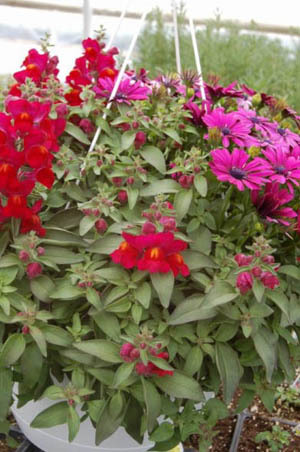 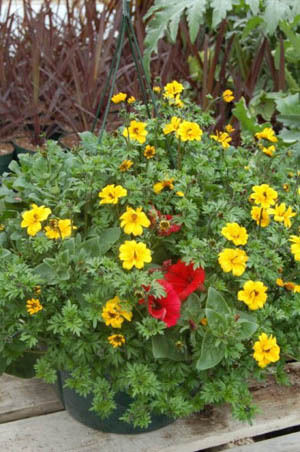 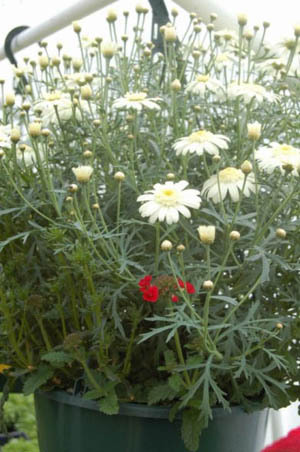 Careful selection of “Basket Stuffer” Plant material creates the perfect basket. 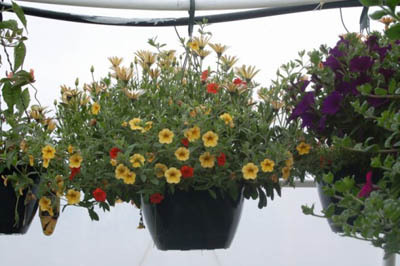 In the Calgary area all hanging baskets will dry out in the wind. 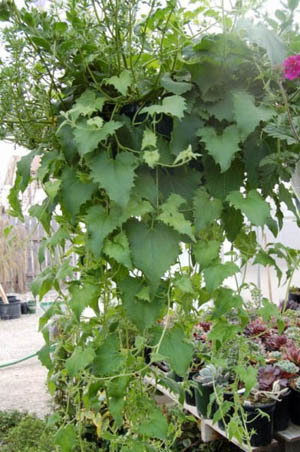 Even in a shady location, hanging pots have to be checked every day. 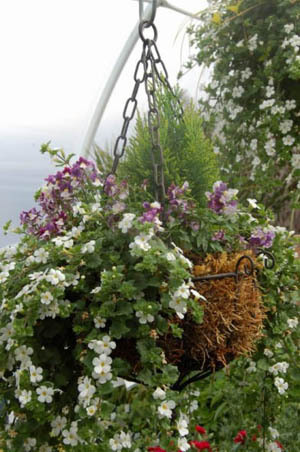 If you think that you do not have a lot of time to look after them, it is best not to have hanging baskets and go for the container at ground level. 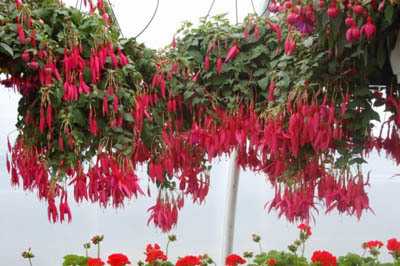 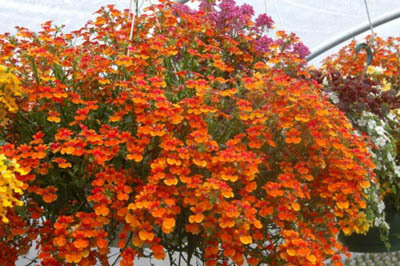 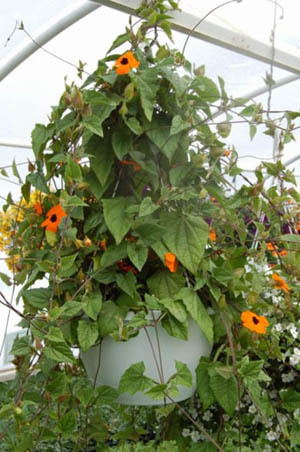 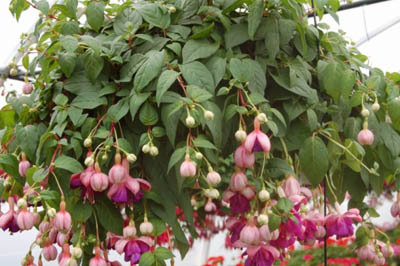 Many of our hanging baskets do not remain in the hanging container. 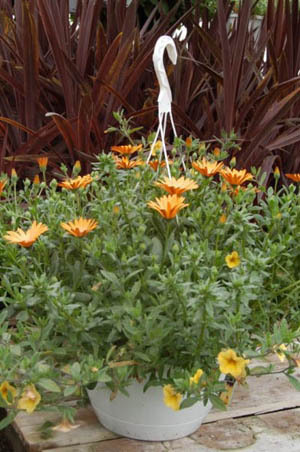 Our customers simply clip off the hanger, remove the basket and place into their patio planter when they arrive home, “ the no fuss, no muss” method”. 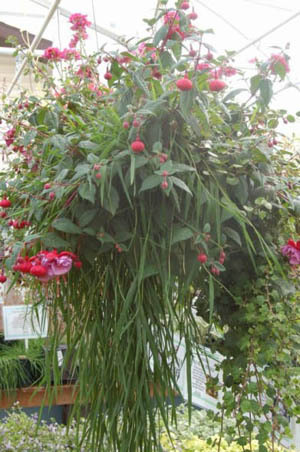 A 10-inch container should have about three plants, a 12-inch 4 plants and 14-inch 4 or 5 plants. 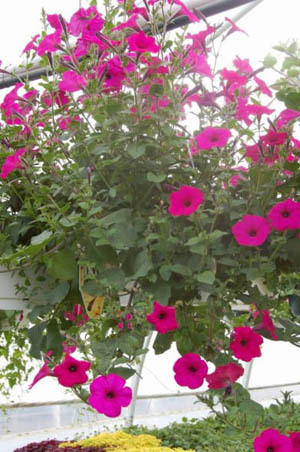 All containers, even hanging baskets, have fronts and backs. 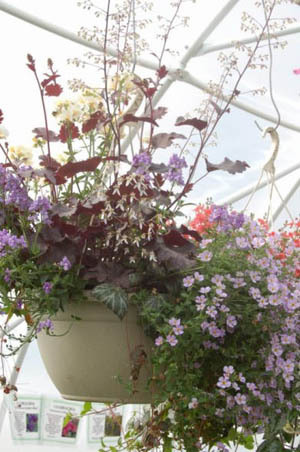 When choosing plants make sure you pick one plant for height, one for trail and one for bulk. 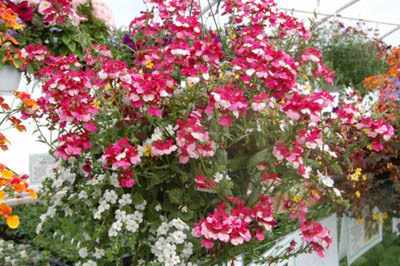 Fertilise once a week, with 20-20-20, and you will be amazed what you can create. 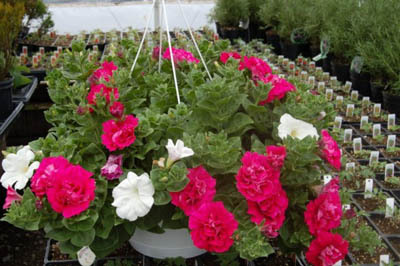 For more information on container care, check out our “did you know…” on this website and print off a care sheet called General Care of Containers.